What is your favorit monster from the scooby-doo franchise? Can anyone point me to an episode of Scooby Doo that uses the door gag? anda know, where the gang is being chased oleh a monster and they keep running in and out of doors in the same hallway? Scooby-Doo Where Are You? is a classic Hanna-Barbera animated show. The tampil is 1 of Hanna-Barbera's most populer shows. The tampil is about 4 humans (Fred, Shaggy, Velma, and Daphne) and a dog (Scooby-Doo) who are mystery solvers. In each episode they go up against a different antagonist. The fact that each episode has a different antagonist helps keep the tampil unique. The adventures of the main characters are entertaining and fun. Scooby-Doo is a long running franchise about a dog and his human friends defeating villains with their mystery solving skills. This daftar is my ranking of the members of the team. This daftar includes the original members as well as the members that joined later on. This daftar is dedicated to Bill Hanna, Joe Barbera, Don Messick, and Casey Kasem. This subject is Scooby Doo; as you're probably aware of, Scooby Doo is an animated televisi series about four teenagers and a talking Great Dane who solve ghostly mysteries. 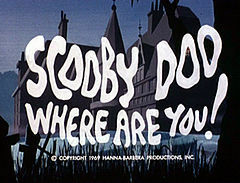 The first Scooby Doo televisi series(known as Scooby Doo Where Are You?) aired on CBS beginning on September 13th, 1969 on Saturday mornings. He went to get his daughter’s wheelchair that had been parked outside of her berwarna merah muda, merah muda and purple bunga bedroom. When he arrived into the bedroom with her wheelchair, he found Fredricka already awake. Hi, everyone! I would like to ask a quick pertanyaan before I post. Does anyone here like the idea of the selanjutnya generation? I thought I'd give it a shot here in this club and see what anda all think. Enjoy! a comment was made to the poll: Who's your favorit fred actor? a comment was made to the poll: Who's your favorit Scooby-Doo actor?